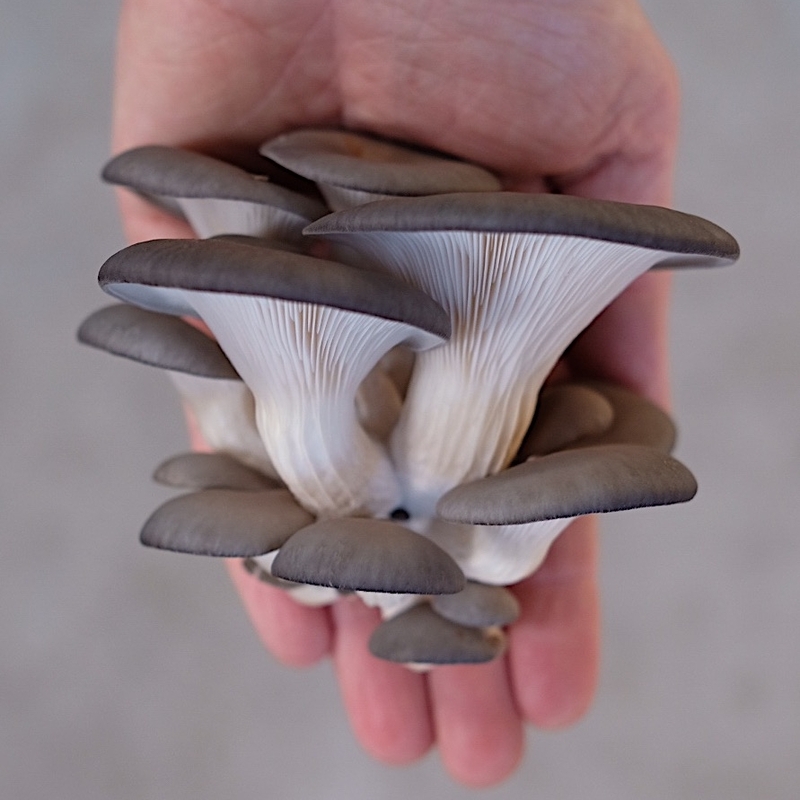 We currently grow six varieties of Oyster mushrooms: Pearl, White, Yellow, Pink, Tan and Phoenix. 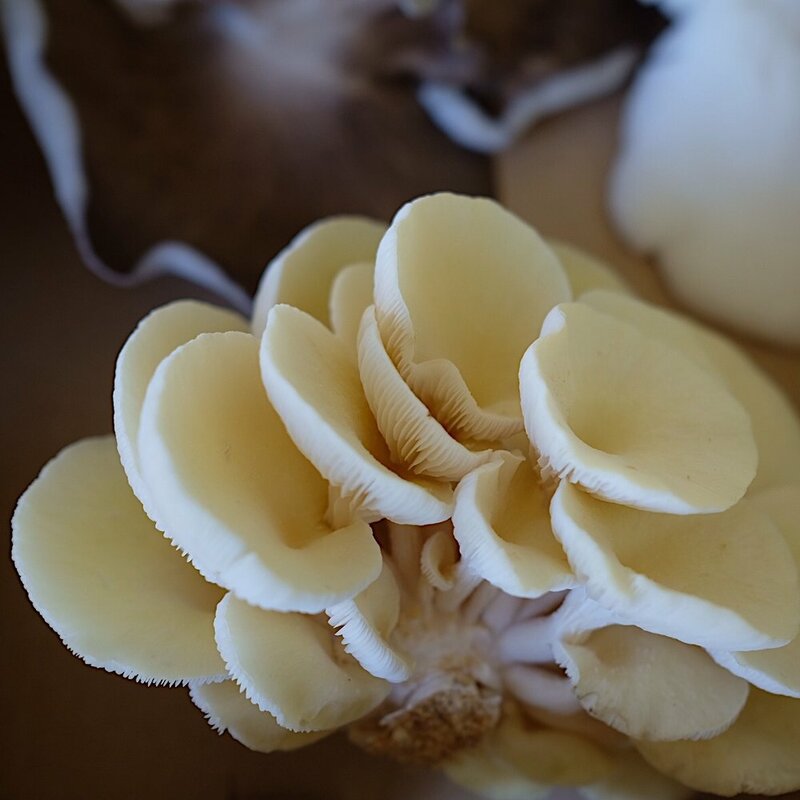 Our mixed boxes feature a colourful array of oyster mushrooms, with the types changing depending upon the seasons. Our mushrooms are harvested and delivered on the same day to ensure maximum freshness! 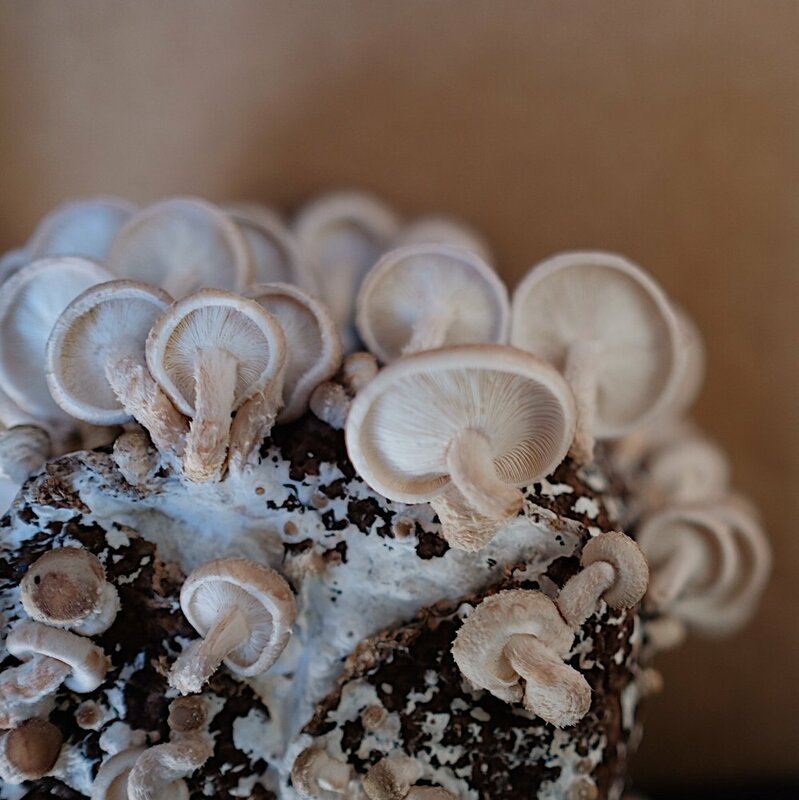 We grow Shiitake year-round using Australian spawn and Australian hardwood sawdust. 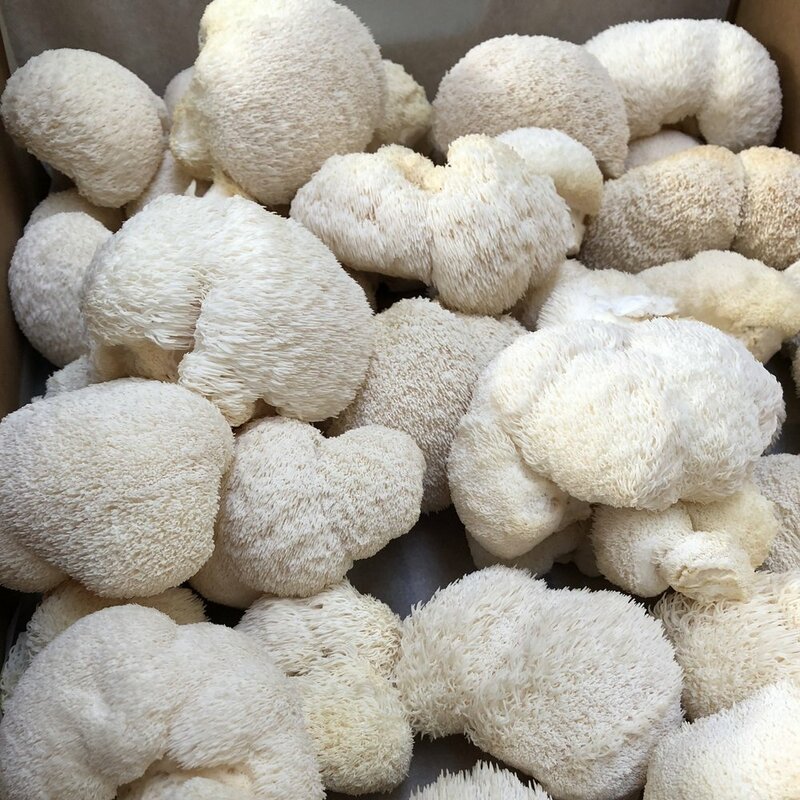 They are harvested without touching them by clipping the mushrooms straight into the harvest box, ensuring maximum freshness. 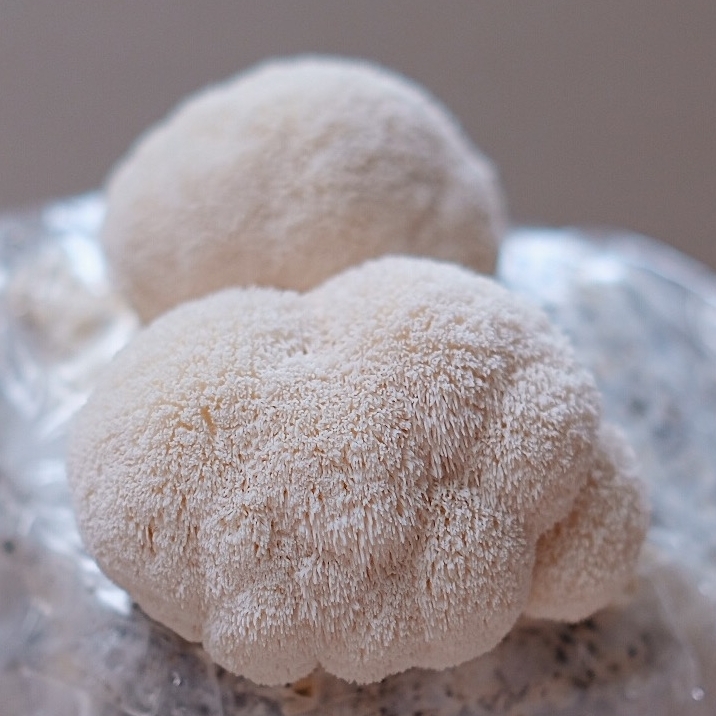 Our highly nutritious Lion's Mane mushrooms (Hericium coralloides) are endemic to Otway National Park, VIC. We grow them year-round and are constantly fascinated by their unusual forms.